Home/SEO/Seasonal SEO – How it helps you rock your SEO revenue? 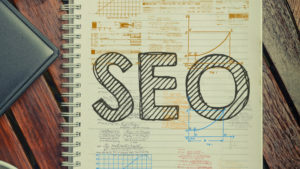 Do you think your SEO strategy accounts for seasonality? If answered no, your business could soon witness the disadvantage. Regardless of your industry, seasonality will always impact allocation of promotion costs, SEO projections and different other business factors. Seasonal SEO strategy – What is it? Time-based: Summer, winter, weekly, monthly etc. If you tend to factor in this typical seasonal influence into your SEO strategy, this can help your business align your specific content distribution strategy to meet the needs of the customers. It will also help you drive increased numbers of leads and boost conversions based on the timely intentions of the users. For instance, suppose you own a business which sells AC repair services in Florida. As not many people need their AC repaired during the winter season, it is definitely safe to assume that seasonal influences drive the need for services to be done during summer months. If you take a close look at Google Trends, you would see that March to September has got the highest volume of search. Seasonal SEO just utilizes all such points of highest interest and helps in driving qualified sales and more traffic. Seasonal SEO – Why does it matter? SEO is necessary for driving long-term success. But if your business chooses to monetize on seasonal SEO, then you would require building a strategy which generates best results within a short span of time. Customizing production of content and optimization based on relevant holidays and seasonal weather is a good way of boosting conversions and opening new streams of revenue. Although you might not be able to use seasonal content throughout the year, yet optimizing your content and SEO strategy to cater to the needs of your customers can have good consequences for your bottomline. Which promotions would you offer? What message can you use for the offer? So, seasonal SEO has got varied benefits for rocking your SEO revenue and helping you become rich through your efforts.